All creatures in the garden should be treated as special guests. 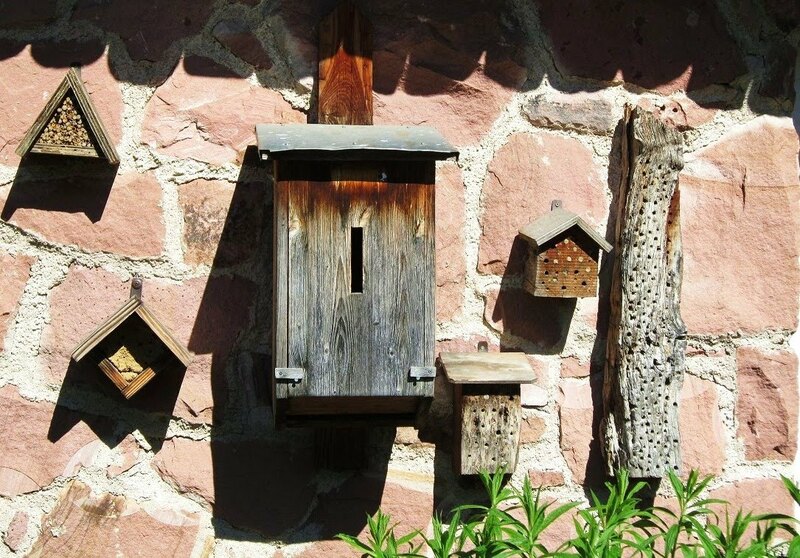 I came across a bee hotel on Etsy a week ago. To me it was a whole new concept all though I had read a bit about caring for the insects in the garden. 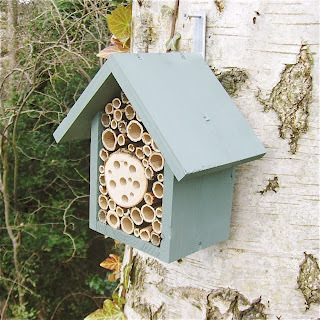 The bee hotel is now on its way from Mike in Scotland to my garden. On a trip to Durbach in South Germany last week I saw bee hotels, or rather insect houses, at the museum! It's such a basic thing to care for the beneficial insects of the garden. They work for us to pollinate plants and make our toil bear fruits - literary! How interesting, I have never seen anything like this! What a cool little house!! Maybe it's the right size for a Rumblepurr? What a neat idea! Maybe the bees would be willing to share some space with a fairy or two? They are so beautiful and great aren't they?